The other day, we were all excited because the boys had a little friend coming over! A little beautiful lady! But you see, I am only used to entertaining boys, as you all know. We do wrestling matches, slime parties, and screaming contests for fun. So we came up with the idea of doing something crafty! Girls love crafts, no? We were on the right track! But then everyone decided that the craft should be slime! Girls outta love slime, momma! Hmmm well ok! Slime it is! But now we had another issue. 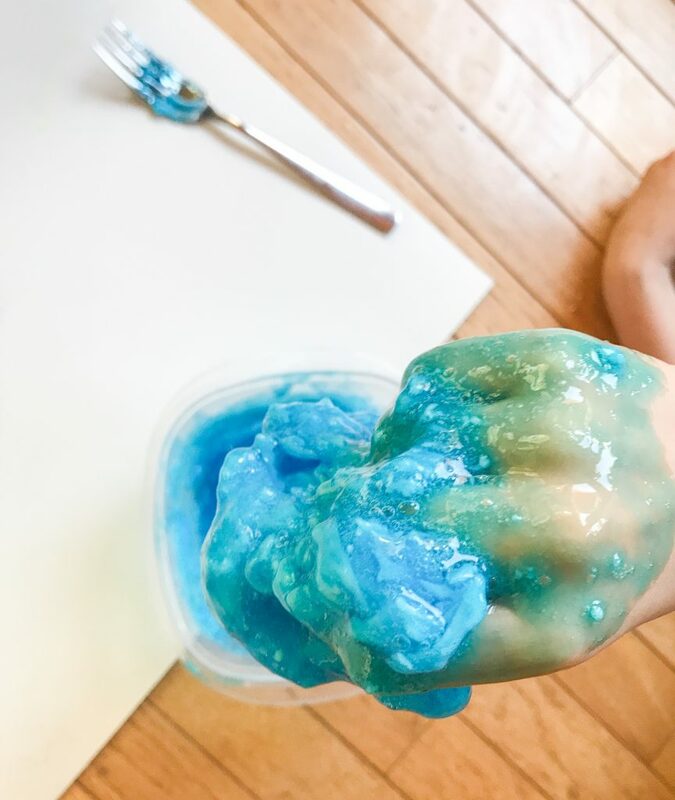 All the slime recipes out there are different, and many of those recipes use things that you don’t just have around the house for fun. 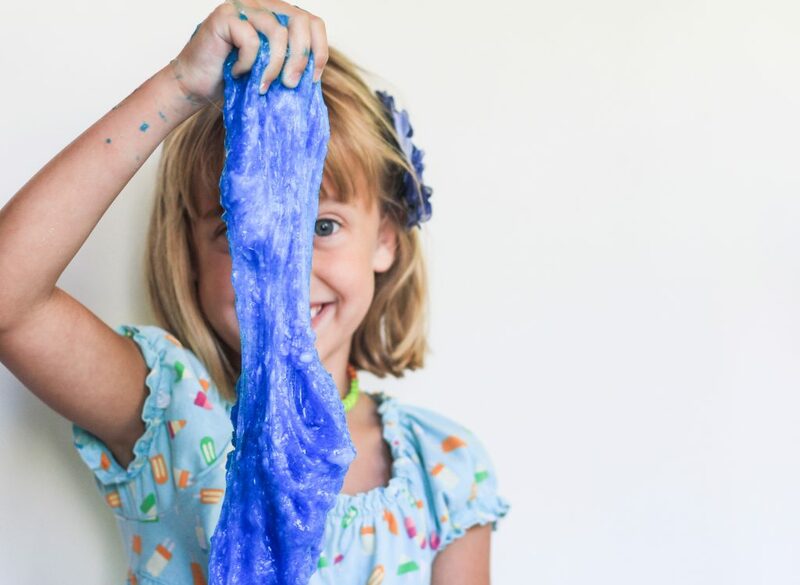 Finally we found one that worked for us and we had to try it a few times before we mastered the perfect, girl impressing slime :). First, we mixed 12 Oz. 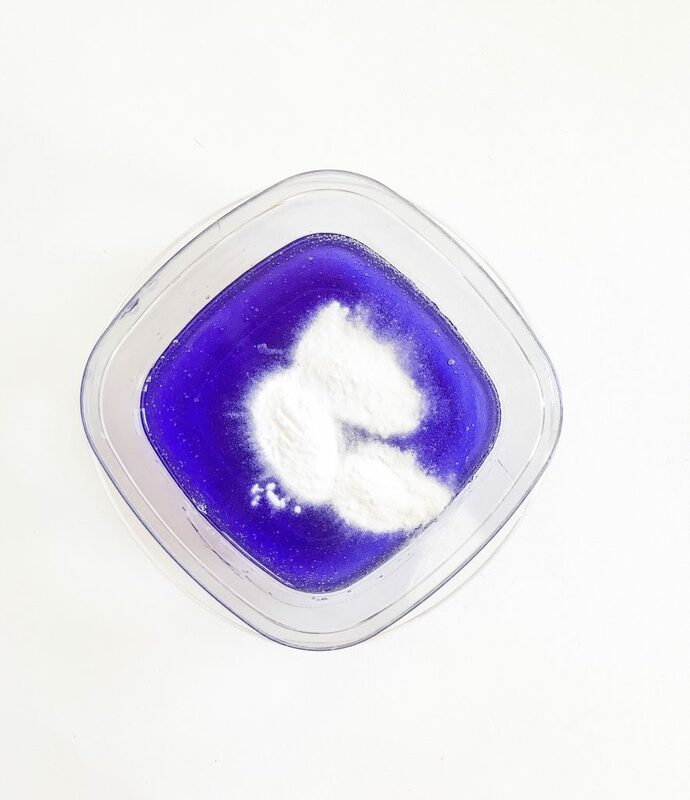 of clear glue with one tiny, and I mean TINY, dot of food coloring. 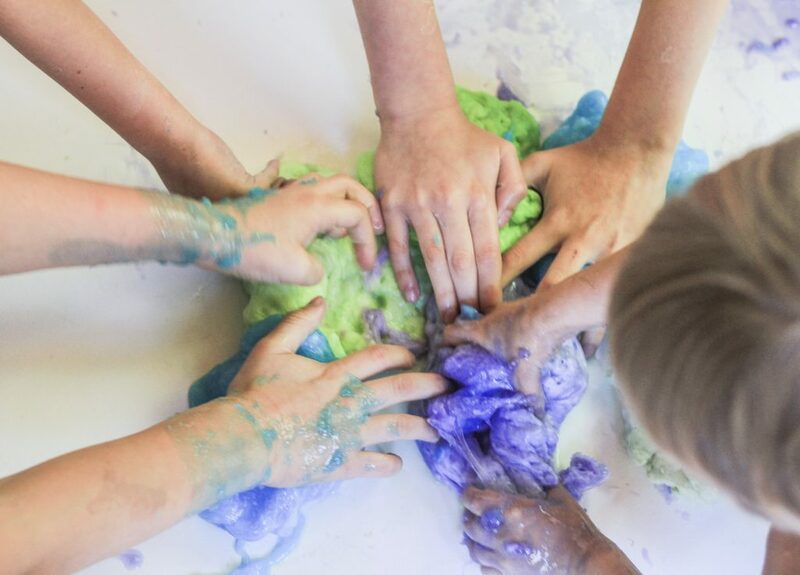 I let them do the mixing and when the color was perfect, we added one tablespoon of baking soda to the colored glue. Again, they loved the mixing part so I gave them time to mix and mix. While they mixed, I got some warm water ready, put some salt in it so make it a saline solution and then went around putting 5 tablespoons of the water into each container. Now for the fun part! They waited patiently and asked a few times, when would be the time to get their hands dirty. But before you do that, if you are following the recipe, take a good look at your antsy and very clean children (and it wouldn’t hurt to clear up any delicate objects that might be in their way). Now, I said, you may all get your hands dirty! What happened next was magical and disastrous all at once. 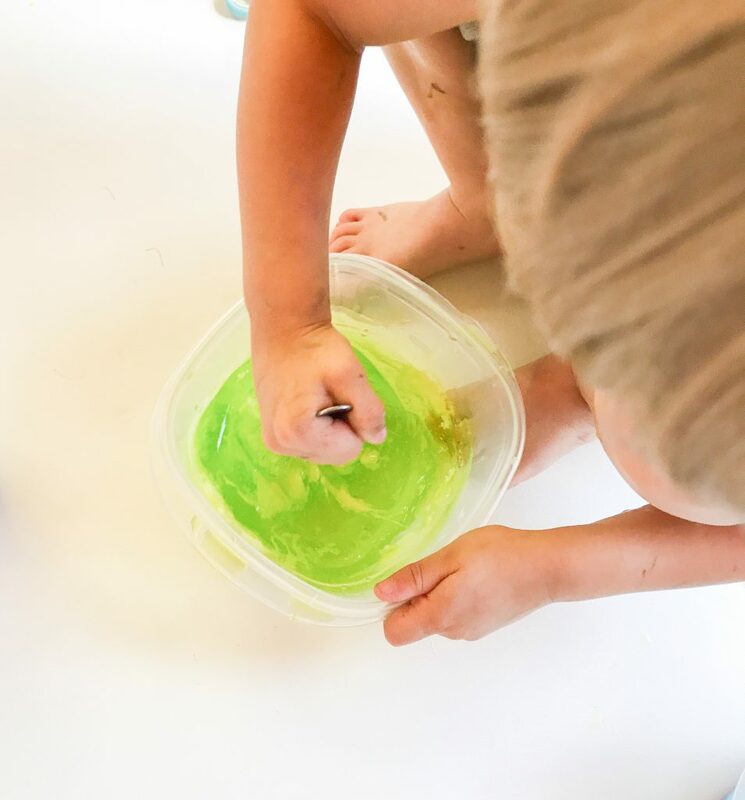 Their hands went into the containers and the slime was all they cared about! The room was so quiet and their faces were just beaming with joy. Here is another little tip: at this time, you can quietly pull up a chair, and grab a cup of coffee and just relax. Crazy to think about it! 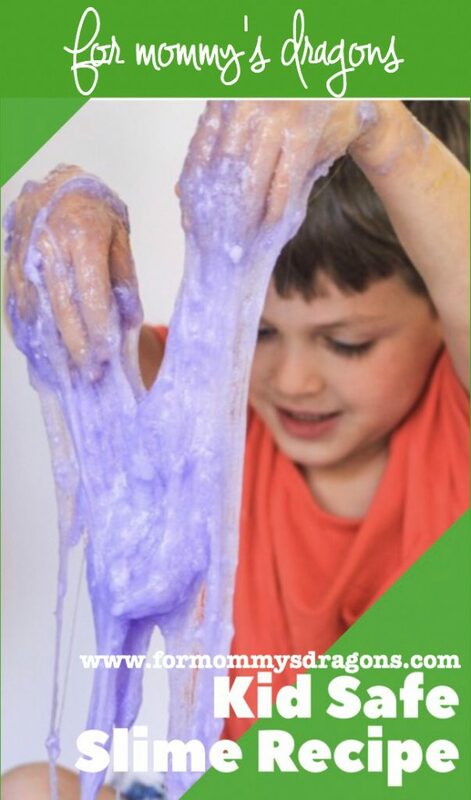 But your kids won’t be caring about anything but slime for a very long time! 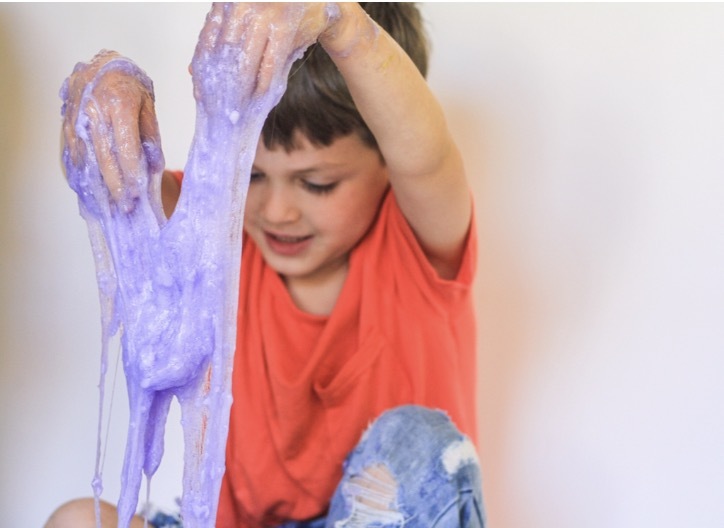 And don’t think this is just for babies, because even my oldest son was right there in the slime party! Hey, maybe you can make a lesson out of it for the older kids! Figure out the chemical reactions. Or you can also just enjoy your coffee. Either way, its a win-win situation. Oh I almost forgot! Our little lady friend was absolutely happy and very involved with the slime! As it turns out, a crazy house of 4 boys can be fun for the girliest of girls! Because learning is fun! And doing things that engage your hands, and brain, can be so rewarding for anyone! No matter what. Please tell us if you try this recipe and leave a comment on how you would make it different to fit your child’s likes! we want to keep making it and try all different sorts of things. I’m sure she did a great job! Thank you so much for your kind words! This is so fun! Love the colours and love that it’s not toxic. Thanx for all your fun ideas…helpful. My son and his friends would love making this and playing with it. Although I think I would take them outside under the Carport but then we would end up with ever kid in the neighborhood wanting to play. 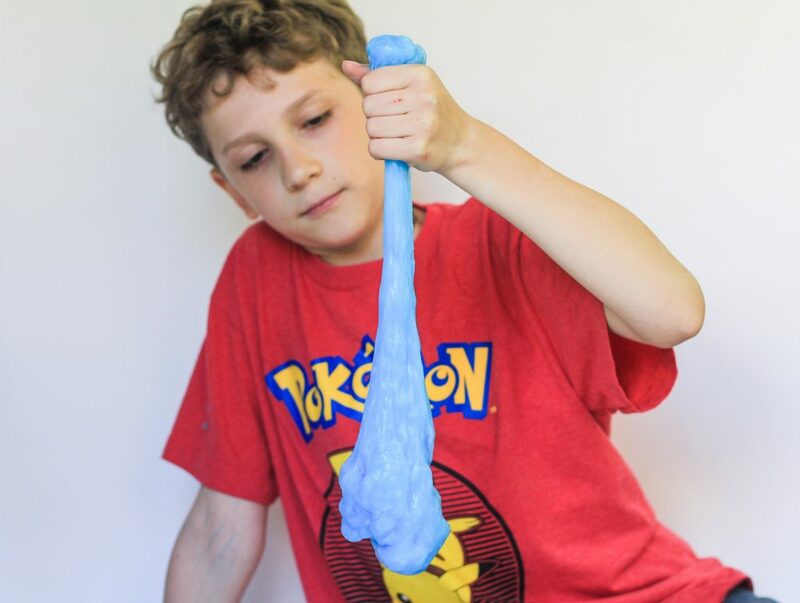 So I would have to make lots and lots of Slime. Especially red and blue Charlie says as they are his favorite colors. As for girls tell the boys I am a girl and I would have played with them. Although I might have cheated and gotten a glass of Iced Tea and sat with you and chatted.